I can be pretty terrible about the holidays and keeping track of them for BlytheLife. Halloween is in just a few days and I honestly have zero new costume plans for my dolls. Why? Because my local Blythe group isn’t having a Halloween meet until the following weekend. Which means I have a whole extra 5 days to come up with an amazing costume idea, create it, and pop it on a doll. What this really means that I’ll be showing off an unseasonably ghoulish or scary (scary-cute?) Halloween costume sometime after the local doll meet – because spoilers aren’t fun! That said, I’m really looking forward to Halloween! I actually work on Halloween this year, and there are some restrictions to what I can or cannot wear at work. This is pretty much due to fun things like “infection control” and maintaining some sense of decorum and professionalism. One of my coworkers will be scooping up a bunch of fun Halloween-themed headbands and just dropping them off at in the staff room for everyone to pick and choose from. There will be kitty ears, witches hats, and little devil horns. I’m going to opt for the kitty ears because meow. 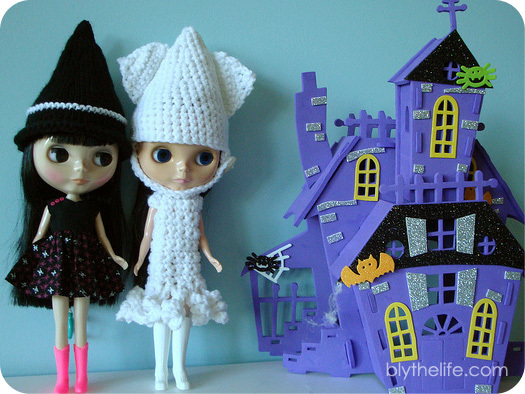 In the past, I’ve come up with some delightfully fun Halloween outfits for my dolls. For instance, the first Halloween meet we did as a group, Belarus went as a squid. Because why not? I actually quite love this costume and still pull it out from time to time because I had such fun making it! And then one year, I brought all three of my Kenners in costume. I have zero idea what I’m going to do for this year, but I still have a little over a week to flesh out an idea and execute it. Chances are I’ll be bringing my new Devi Delacour – and she’s already in a Halloween-appropriate outfit – so what I really need to do is just come up with another outfit for one of my other dolls. Hopefully I can think of something soon! Bonus to having a post-Halloween Halloween meet is that it makes decorations and little fun knick knacks just that much more affordable! I had made the suggestion that everyone attending in my local doll group bring a little treat so everyone could go home with a loot bag – just as if we had gone trick-or-treating. 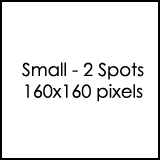 I plan on getting a bunch of cute little things, along with mini chocolate bars and some other fun things – photos after because spoilers aren’t any fun. 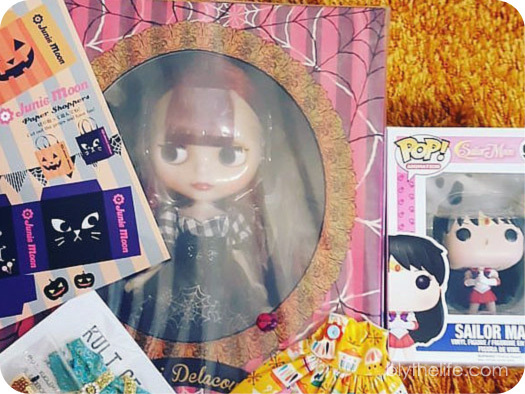 Are you going to be attending a Halloween-themed doll meet? (Or have you already attended one?) And curious minds what to know: what fun costume ideas did you come up with this year? Now, let me preface this by saying that this is not a stock vs. customized doll debate – nope, not at all! 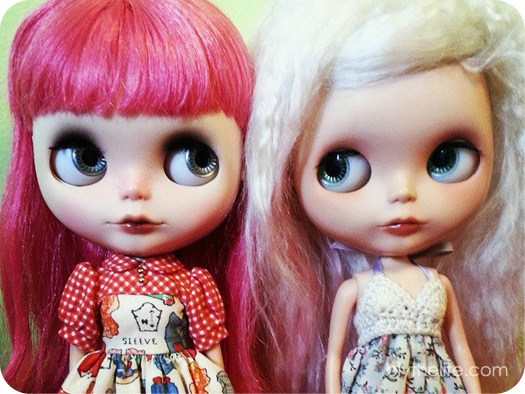 I’m just wanting to know how much of your collection is skewed towards stock or custom dolls. 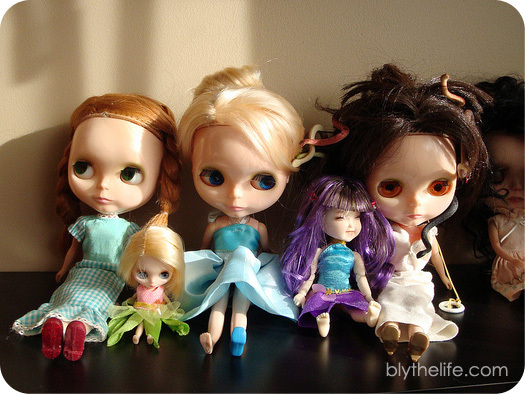 For the sake of argument here, lightly custom dolls (e.g. 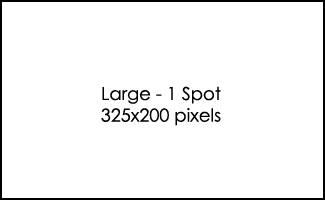 only gaze lifting, Licca bodies, eye chip changes) will count as “stock” as much of that is reversible. So non-reversible changes will make the doll count as custom (e.g. carving, change in make-up, and the like). For me, the custom count is 2 dolls – or 13.3% of my collection (soon to be 12.5% of my collection once a certain little devil arrives…). 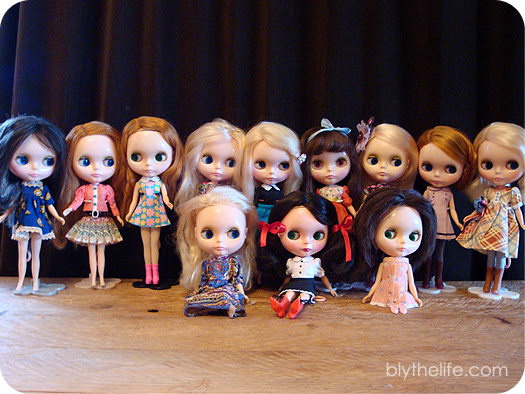 Or actually, currently 12% if we count my Middies as part of my overall Blythe collection. So my doll family is quite heavily skewed towards the stock dolls. Think I should change that? Is your doll family more stock or custom? 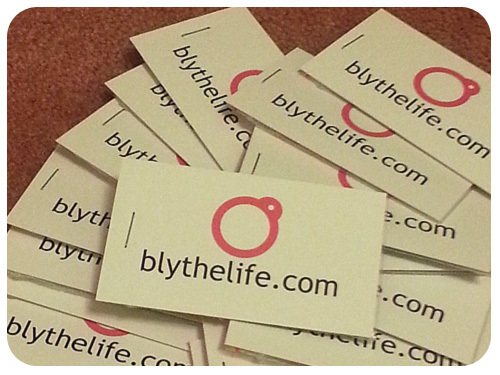 There are three spots currently available for the month of November and all sponsorship funds go towards the costs of keeping BlytheLife.com live on the internet!